We aren’t the only living things on this planet, and some of the others are just downright freaky! Mother Nature concocts all manner of strange and unusual creatures, but none is quite so downright strange looking as the ‘Cthulhu Larvae”, a form of Sea Cucumber or Sea Pig that looks, well, like something that’s crawled out of an H.P. Lovecraft story. 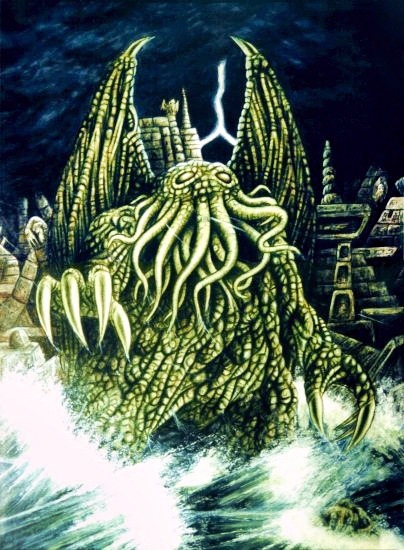 I guess now we know what inspired him to write about the Elder Gods. 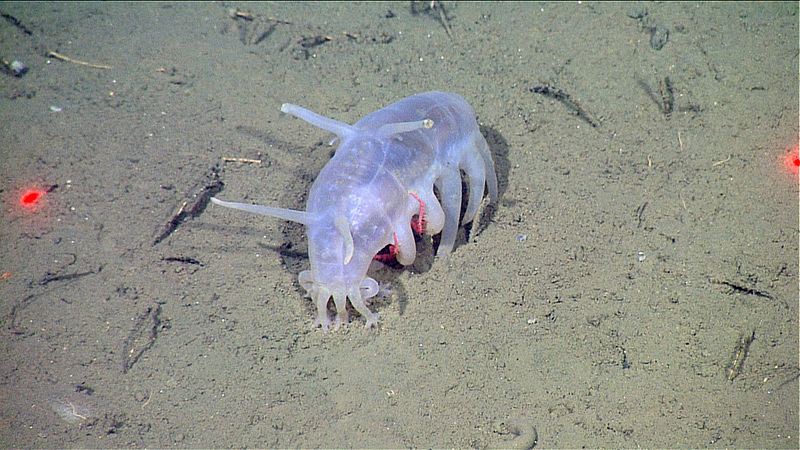 Seen below, the Sea Pig all grown-up. Yes, that’s right. The goldfish. The one we all got as kids, which then died and taught us a lesson about responsibilities. Well, it’s back and it wants revenge. I’m kidding, but to look at how much bigger these giant goldfish are, I might not be! The insect world’s contender for World’s Creepiest Animal is the Giraffe Weevil. An insect from Madagascar, it looks like a ladybug. But with a neck long enough to make you stop and think about that itch on your back. Fortunately, the neck is only used to help the males build nests. 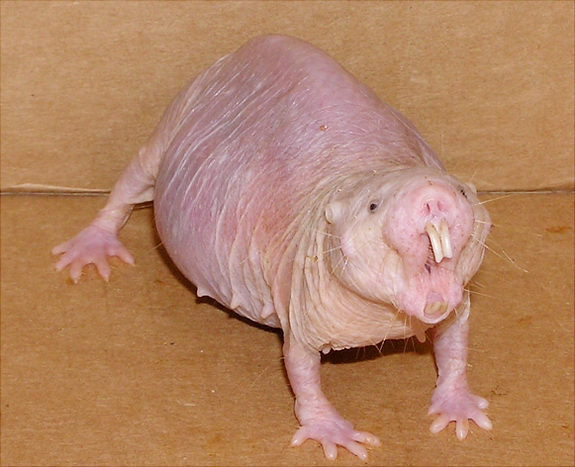 Kim Possible may have made these little creatures seem cute, but in real life they are far from the adorable companion Rufus presented. In fact, they’re less ‘aww cute’ and more ‘what the hell get it away aaaah my eyes!’. That is not a look that works on anything, to be honest. This is why we have public decency laws. A semi-aquatic, egg-laying mammal of action, the Duck-Billed Platypus is certainly unusual, but does it belong on a list of the freakiest plants and animals? Well, just to look at it, you’d say no. But what you might not know is that it is one of the only two mammals to be a monotreme. That is to say, it has one opening. As in, one opening for both reproduction and excretion. (in simple terms, the young and the crap come out the same hole). That’s pretty freaky. Native to tropical East Africa, the Shoebill or Shoe-Billed Stork is apparently one of the most sought after birds by ornithologists. We’re not at all sure why. If something looked like this, we’d want to stay as far away as possible. 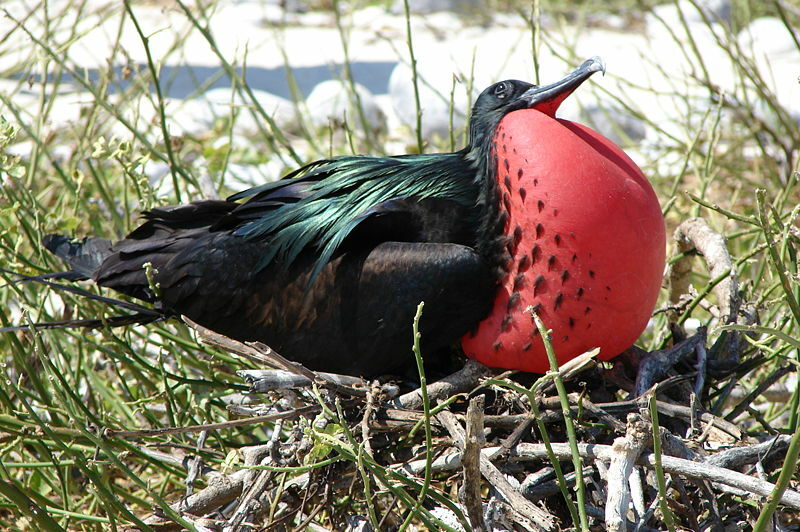 Coming in several varieties, the Frigatebird possesses an inflatable chest, which males use to attract mates. The man with the biggest and brightest chest is the hottest, it seems, and lands a female quite easily. The Mata Mata Turtle looks like it just fell off a tree. 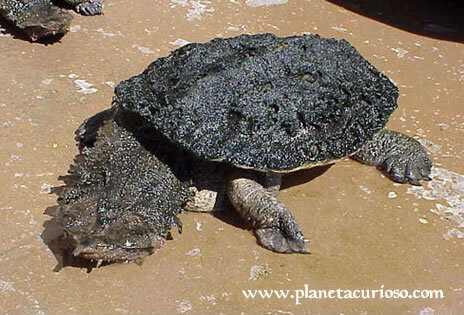 A fresh-water turtle from South America, it feeds by creating a vacuum with its mouth and sucking in its prey. And it’s also quite popular as a display animal in the exotic pet trade. To be honest, we’d rather just stay far away from it.